TheBookseller has a new article up today about teen and children’s novels having a good year. Within the article it is mentioned that Hurricane Gold has sold over 55,000 in the UK, though unfortunately it was outsold by a factor of two by the latest Alex Rider novel, Snakehead. Still good, but methinks it could be doing better. I would bet Hurricane Gold is the weakest selling Young Bond novel to date. Perhaps it could be explained by more competition towards its release date than previous releases and that competition coming from both Harry Potter and Alex Rider, but clearly as evidenced from the charts it didn’t do as hot as the two previous releases. Both Blood Fever and Double or Die hit #1 in their second week of release. Hurricane Gold never hit #1, getting beat out by the final Harry Potter adventure and Wintersmith by Terry Pratchett. In other news, The New Zealand Herald ran a semi-review of Hurricane Gold today and it was quite positive. 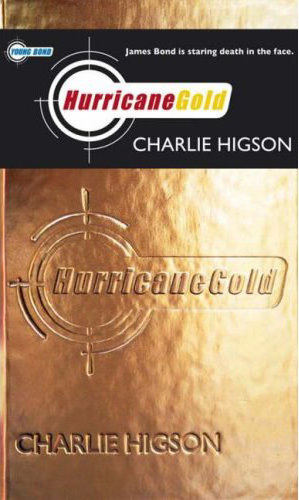 Hurricane Gold will be released in paperback form on May 28, 2008, and will be followed by the as-yet untitled fifth Young Bond novel on September 4th. Thanks to the Young Bond Dossier.